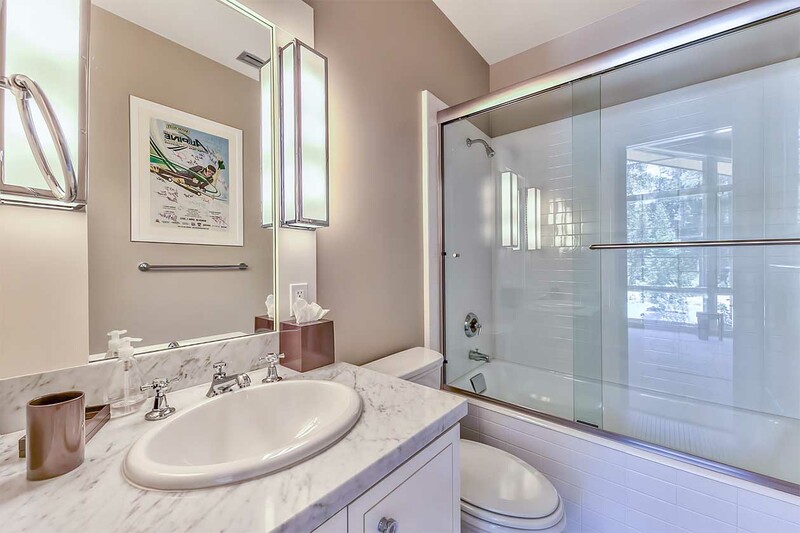 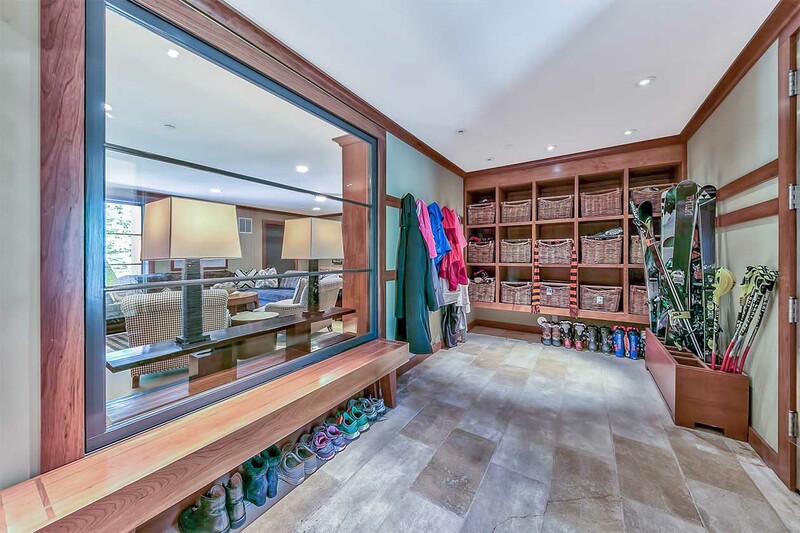 You enter the home into an enviable mudroom, with stone floors, cubbies and racks to store all the ski gear for your family & guests. 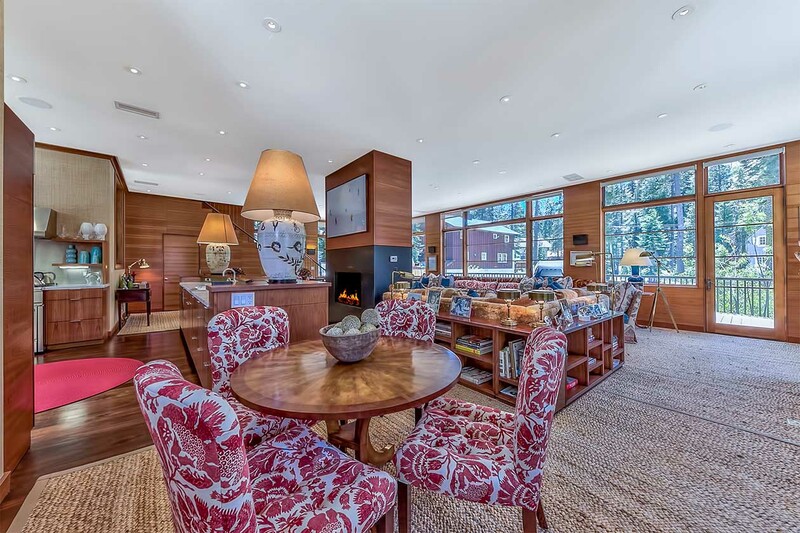 From there, you proceed into the spacious media room, with built-in casework and sectional. 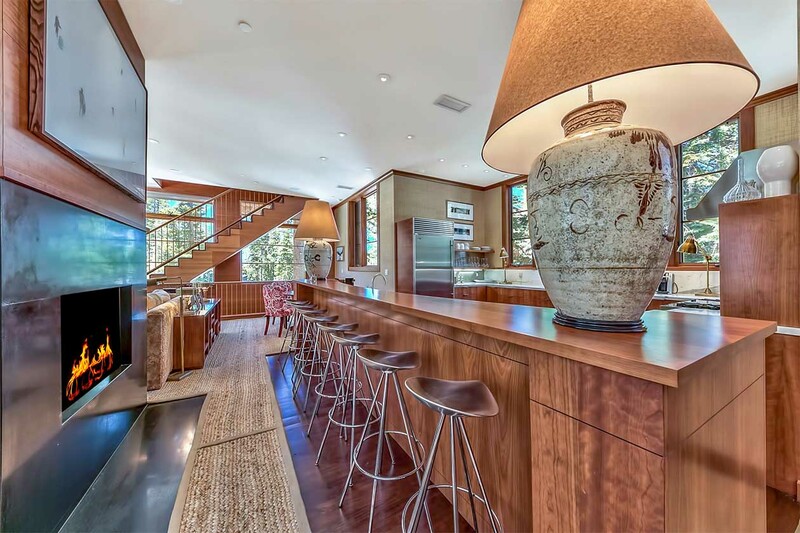 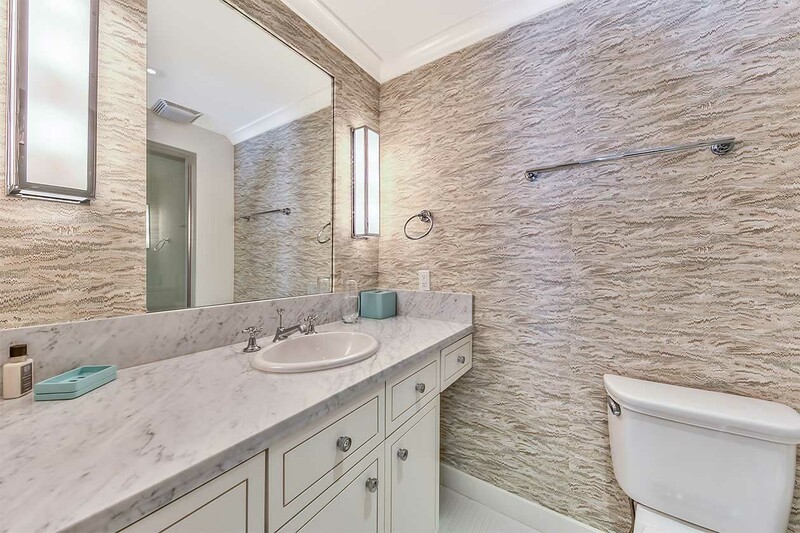 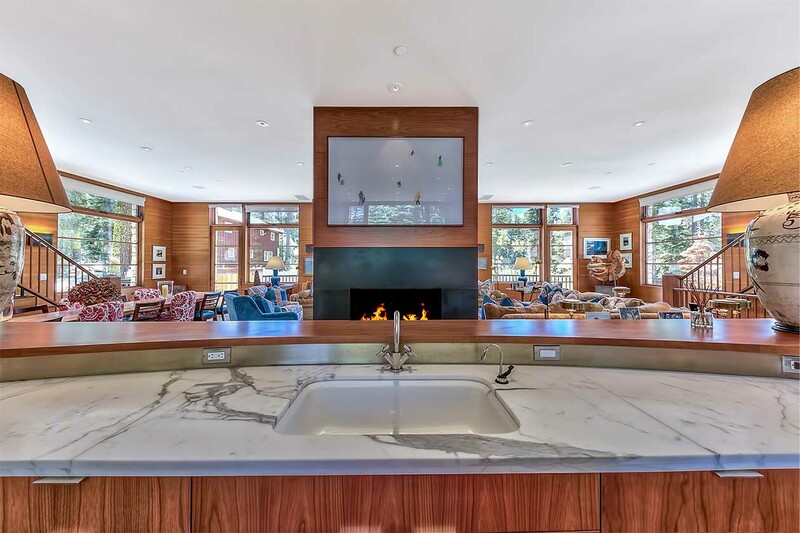 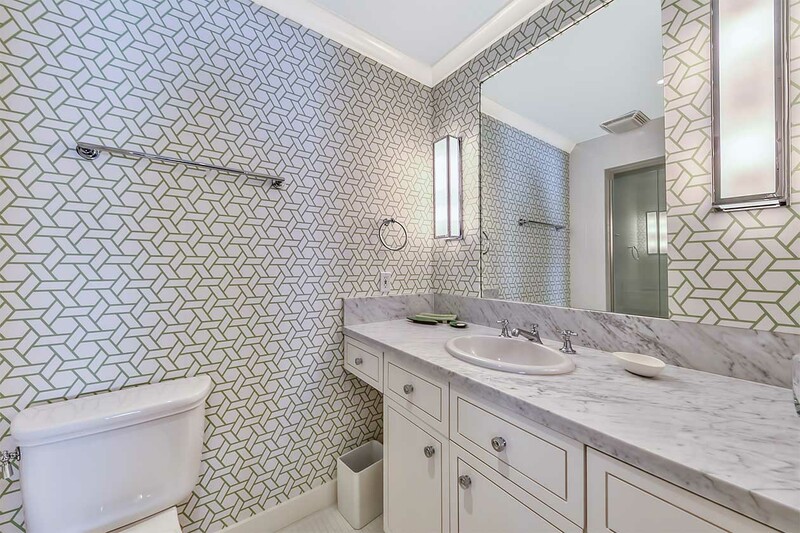 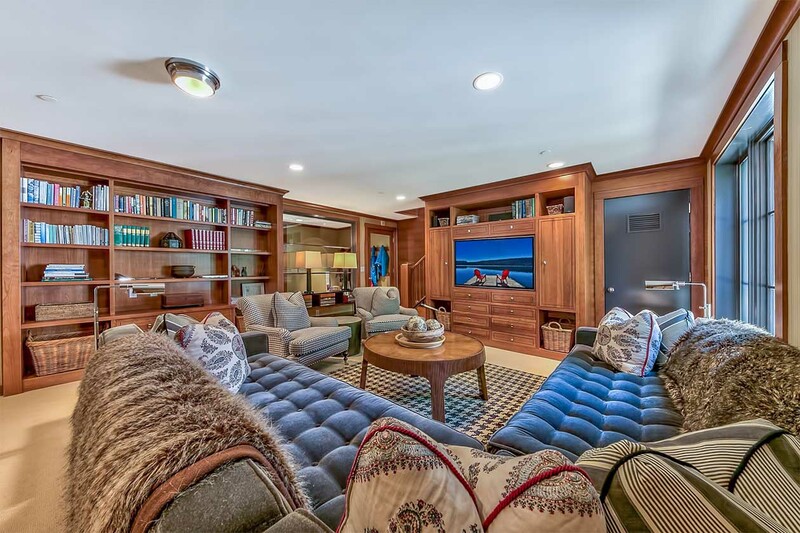 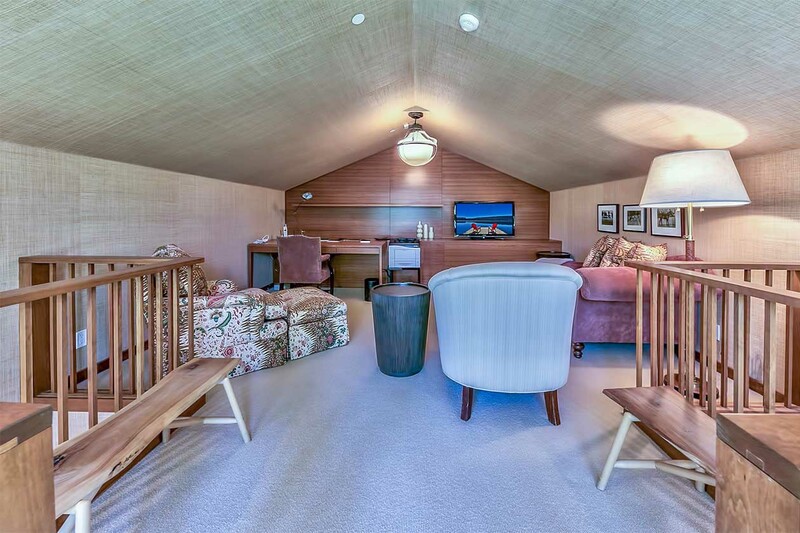 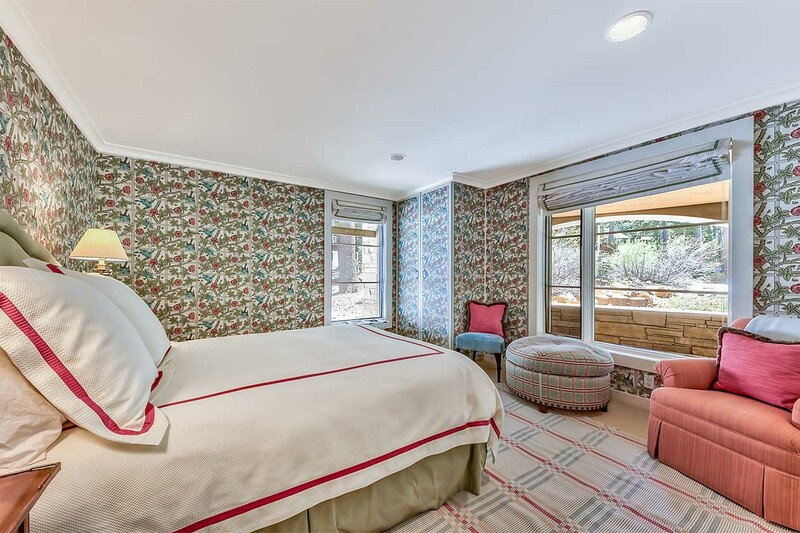 Cross the media room to two guest suites, each with it's own style, or climb the stairs to the main level, where the space opens up to reveal a two-sided fireplace at the center, flanked by the kitchen and bar on one side and living room on the other. 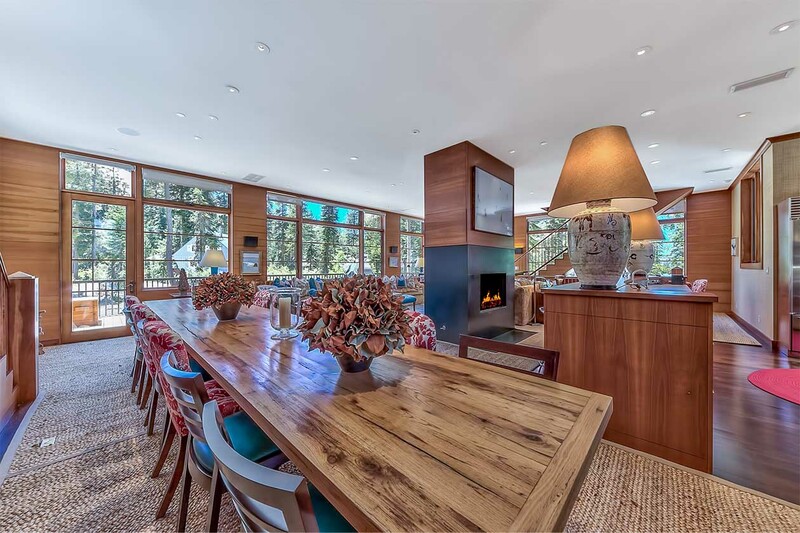 The dining area fits a table that seats 16, perfect for entertaining. 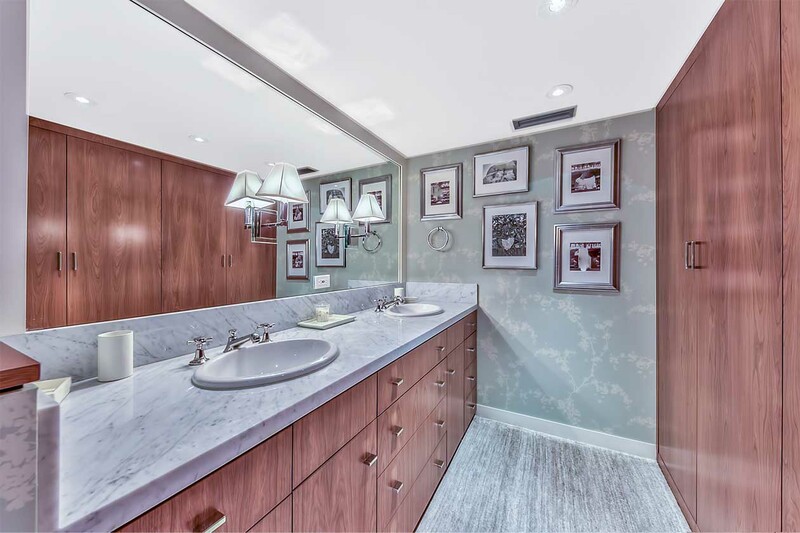 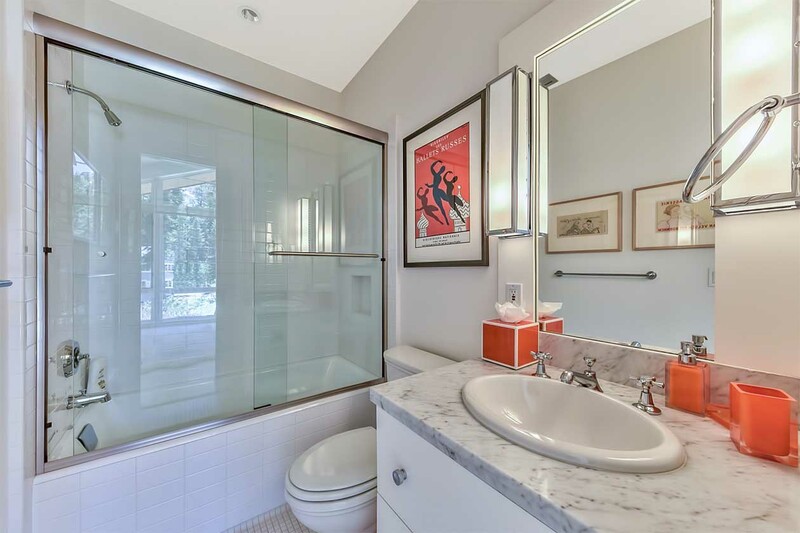 A charming muraled power room is tucked under the stairs with a "secret" blind door in the wood wall paneling. 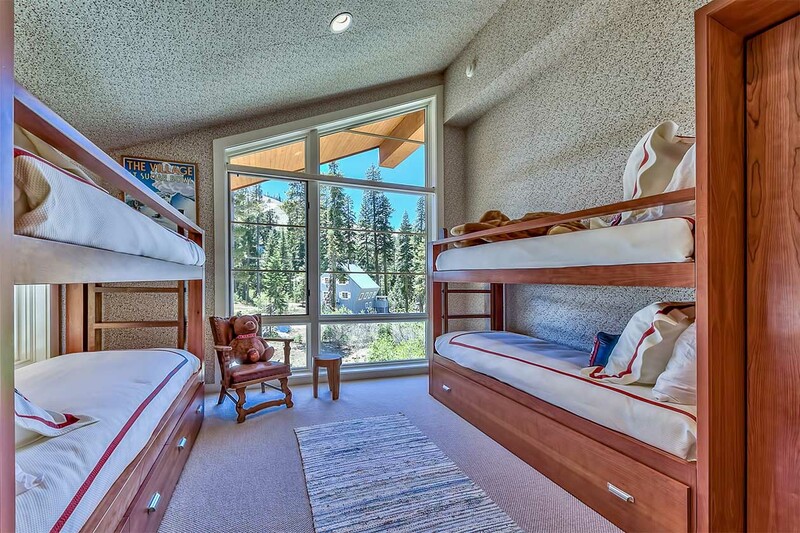 Dual stair cases lead to the third level, hosting the impeccable master suite and two bunk rooms. 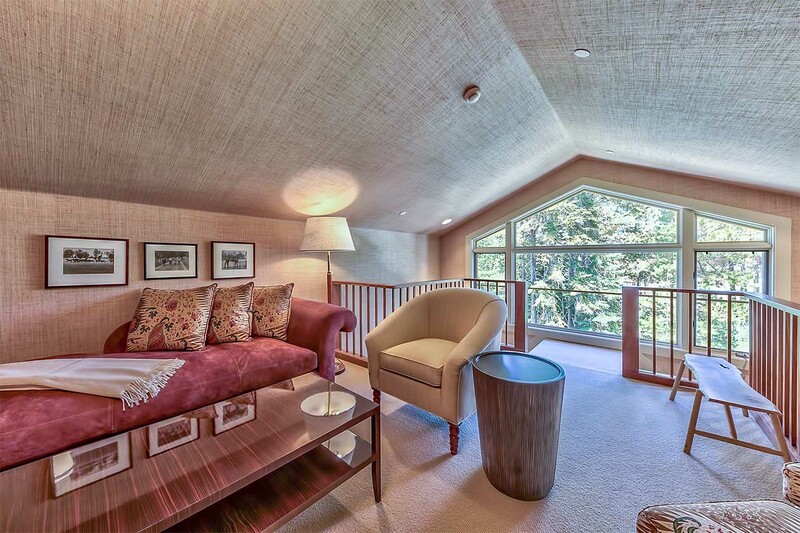 Another short staircase leads to a study loft on the fourth floor. 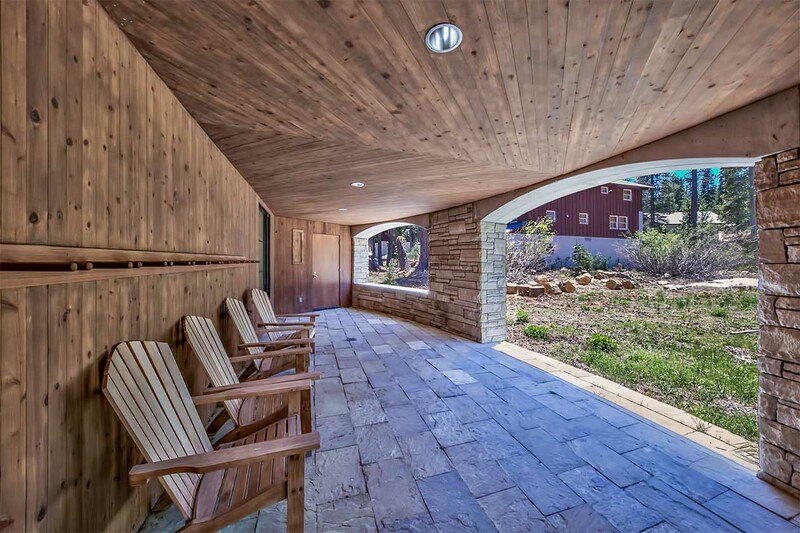 This home was indeed designed for friends and family to gather. 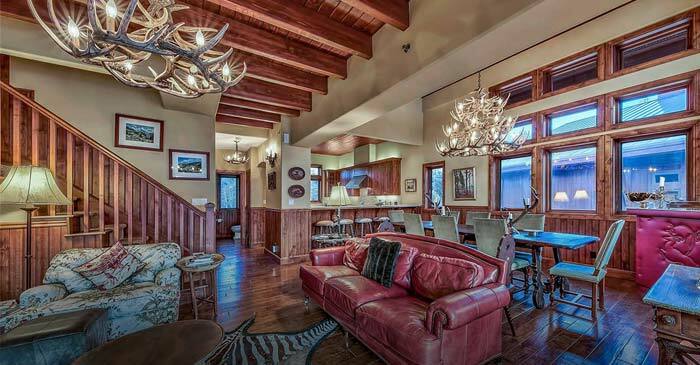 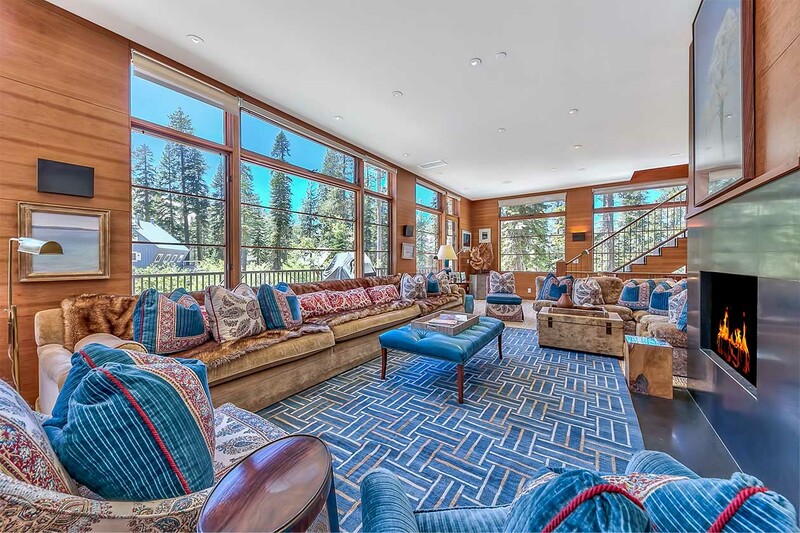 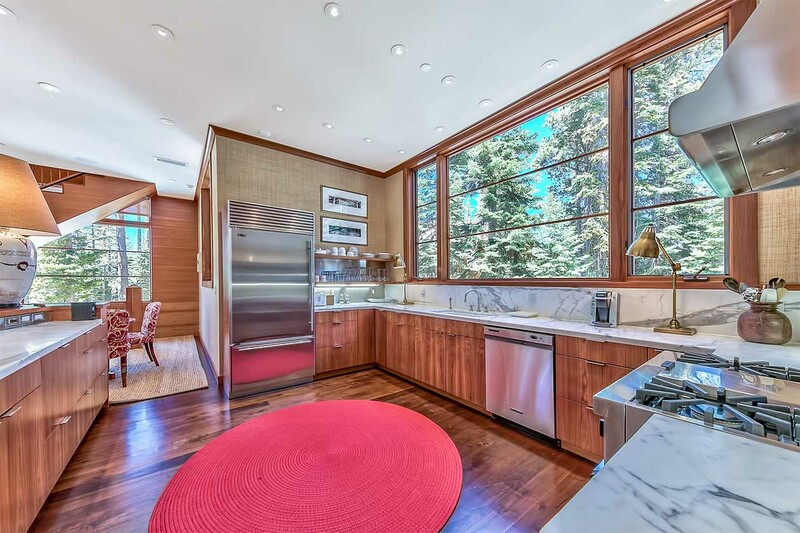 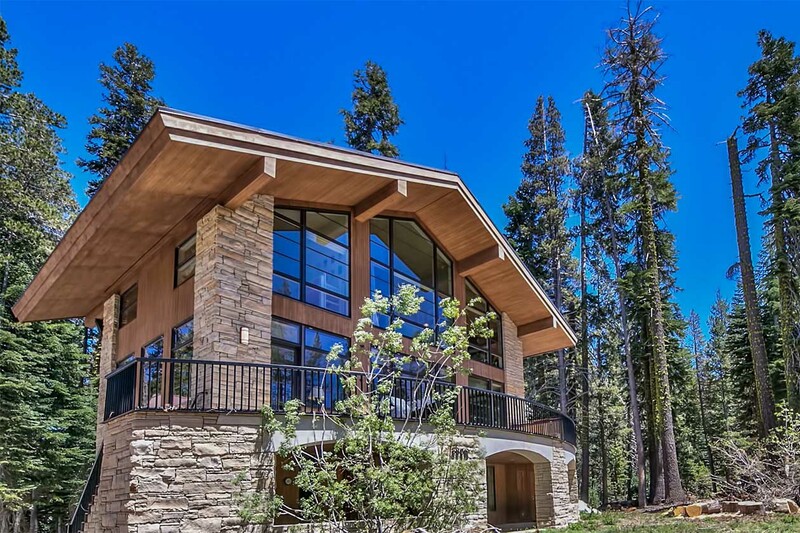 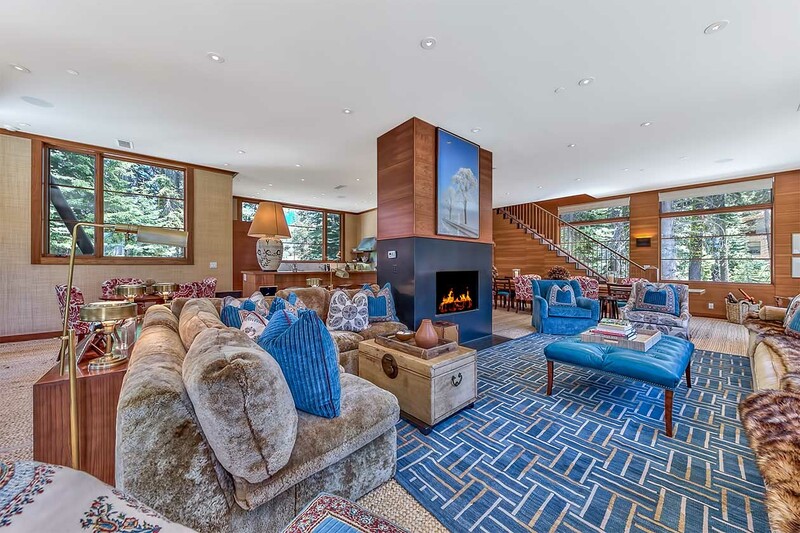 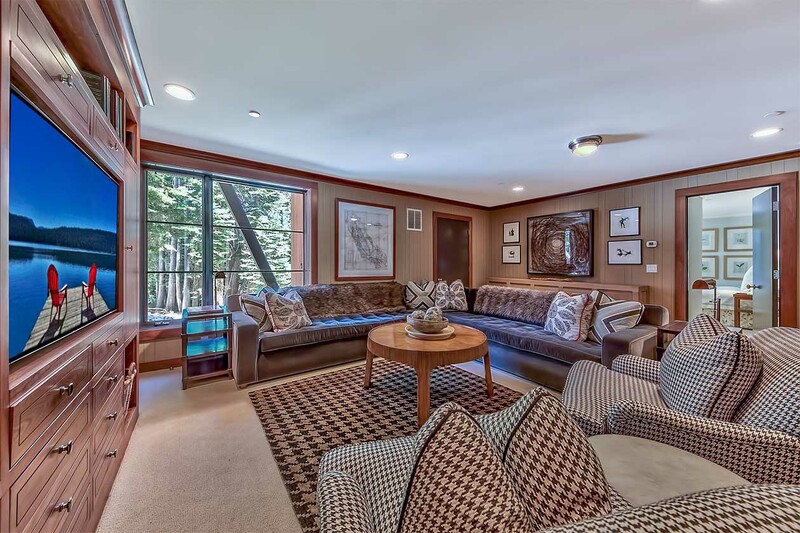 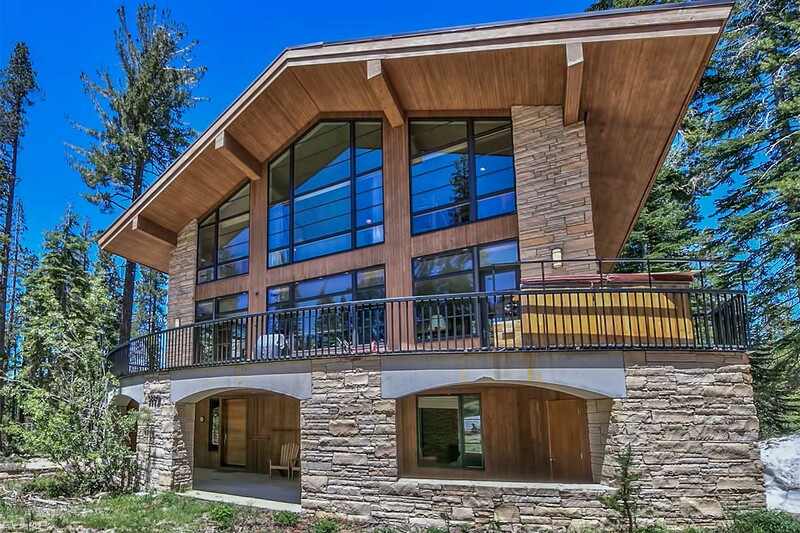 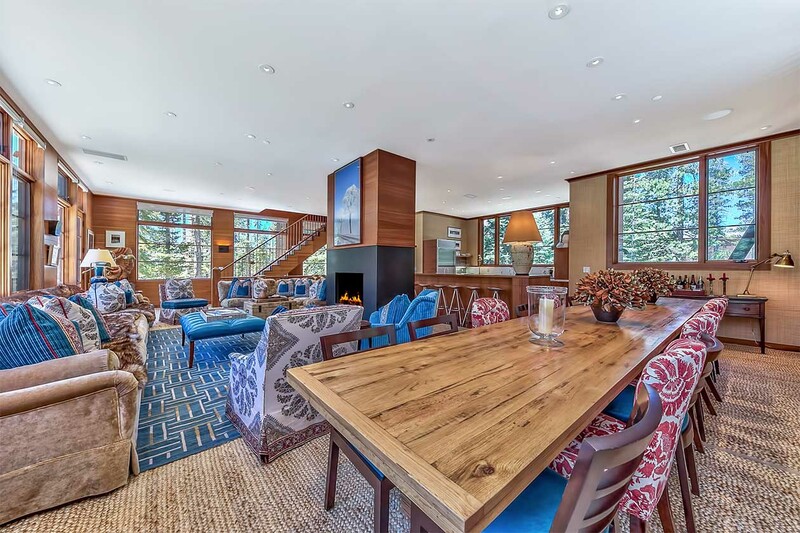 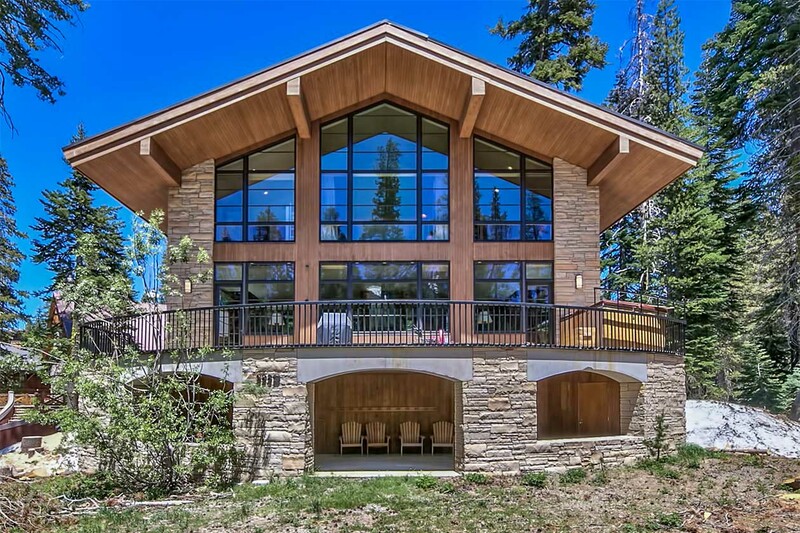 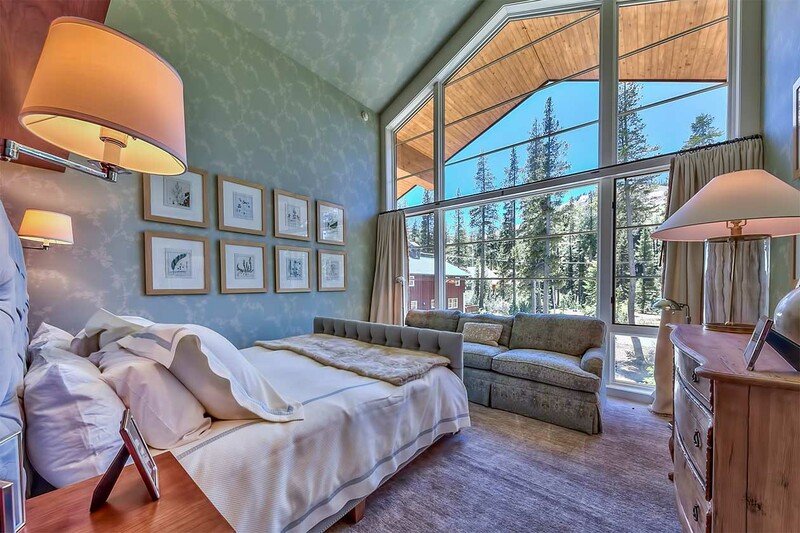 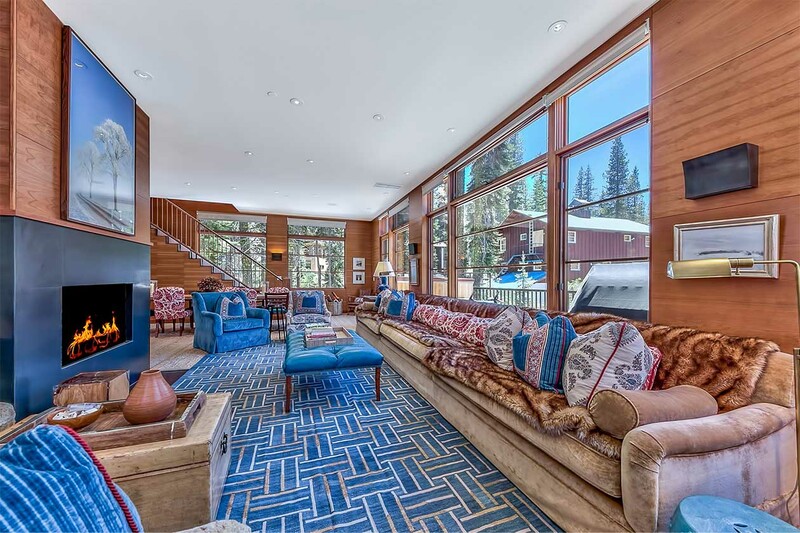 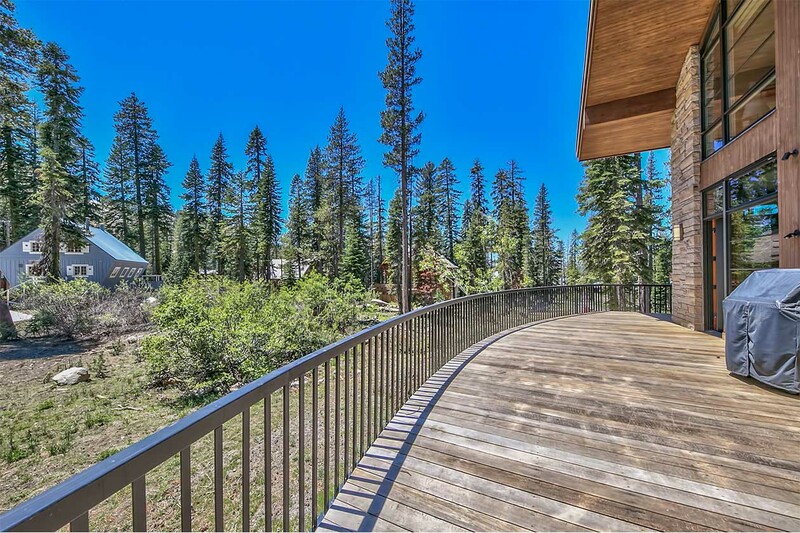 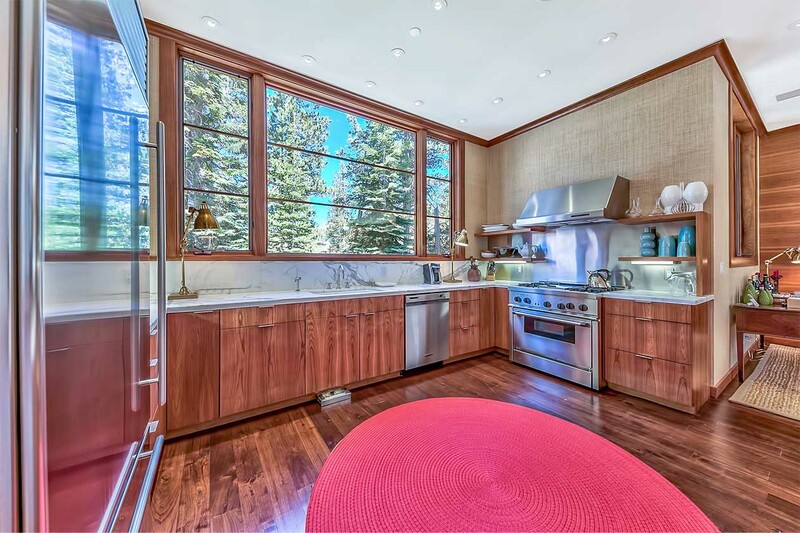 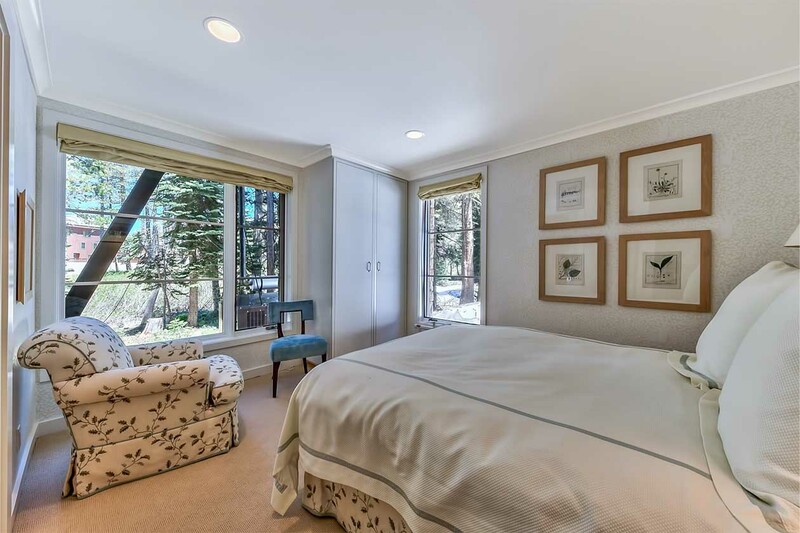 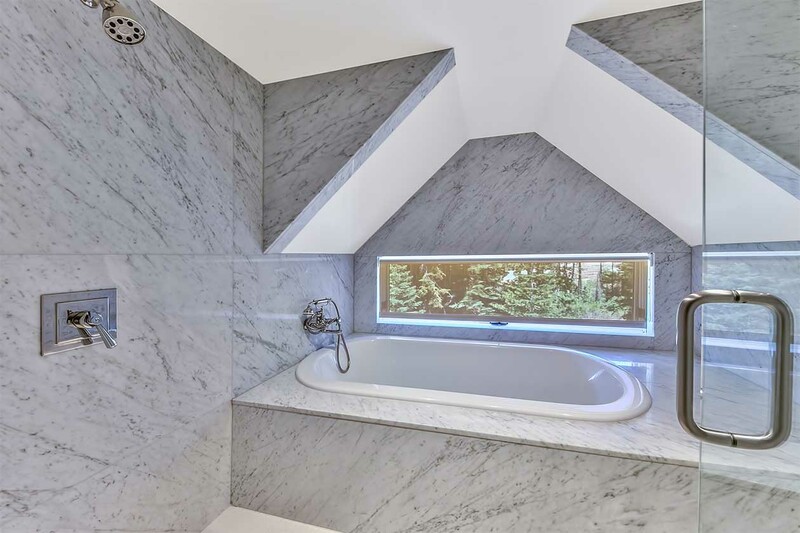 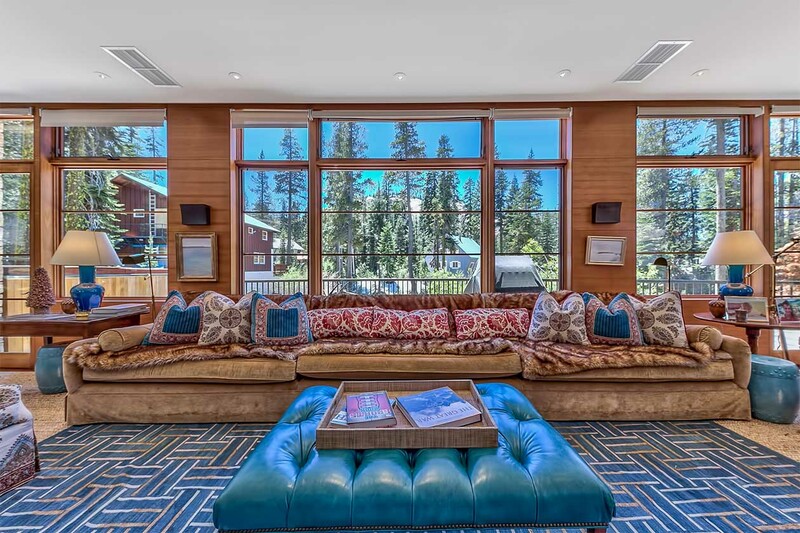 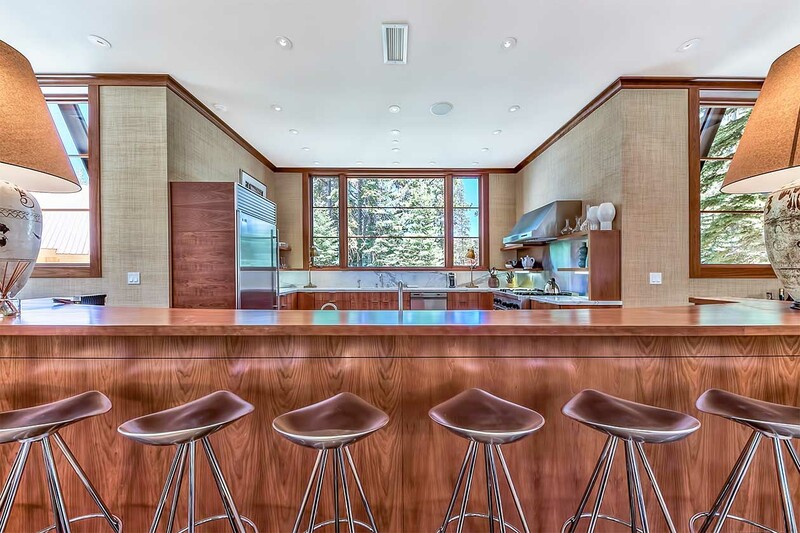 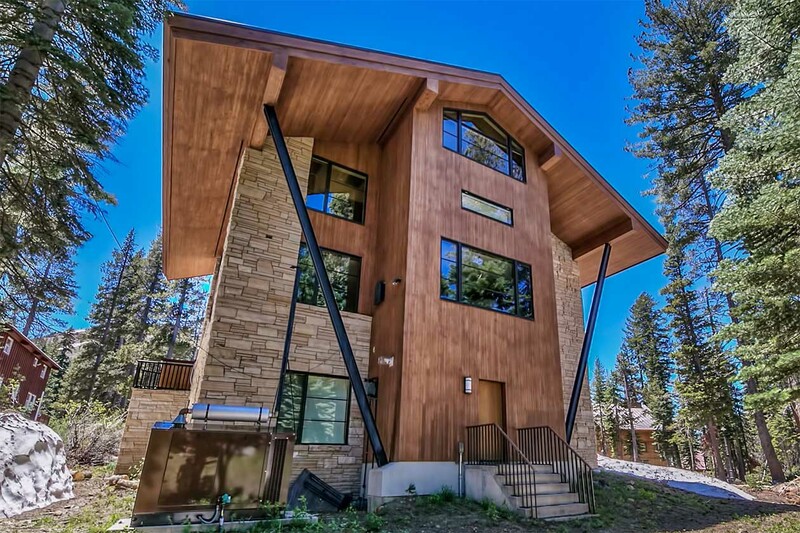 The location is superb, offering both privacy and easy ski-in / ski-out access to the Village Core area, including the Village Lodge, Village Hall, Disney and Nob Hill lifts and the new Sporthaus.